Feel Guilty When You Rest? Take Care of Yourself: Survive and Thrive in Christian Ministry, the newest book from the Lausanne Library, explores why looking after yourself is so vital to surviving and thriving in Christian ministry. 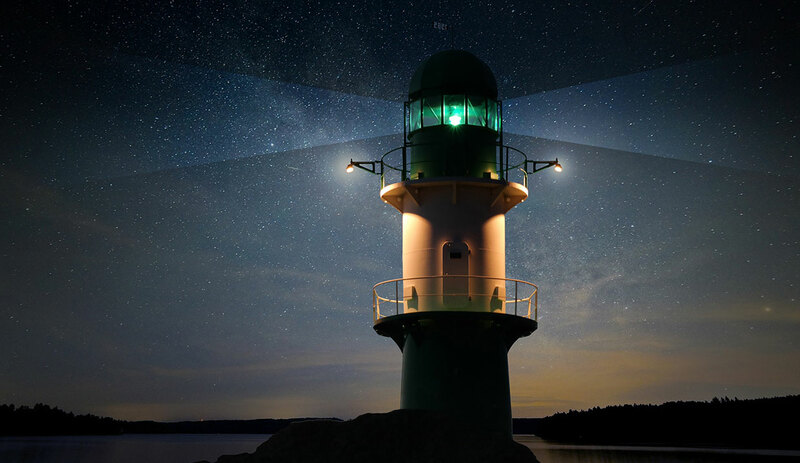 We talked to the author, Pablo Martinez, about why he felt this book was so necessary and about what he means when he describes it as both a lighthouse and a lifesaver. You can find his book (also in e-book format) in the Lausanne Bookstore. Q: What drew you to speak and write on the subject of Christian workers taking care of themselves? A: In my work as a psychiatrist, I have witnessed too many broken lives, too many Christian ministries ruined because of wrong assumptions—exhaustion does not make us more holy!—and wrong decisions. This is why, following [former Lausanne international director] Lindsay Brown´s advice, I decided to provide some practical help. This book intends to be both a lighthouse and a lifesaver—a lighthouse to warn about the dangers and most common mistakes that lead Christian workers to exhaustion, and a lifesaver to provide the reader with practical suggestions to refill your pool when it is empty. The purpose is not to make you work less, but to help you rest more and renew yourself better because the problem is not working too much, but resting and renewing ourselves too little. When Robert Murray McCheyne, a young Scottish minister, lay dying at the age of 29, he turned to a friend and said: ‘God gave me a message to deliver and a horse to ride. Alas, I have killed the horse and now I cannot deliver the message.’ What a graphic picture of spiritual passion, which has turned to overexertion. The consequences of not keeping your own vineyard can be harmful, even disastrous. They affect other people besides yourself, especially your loved ones, and also your work (1 Tim 5:4, 8). So neglect of ourselves, far from being a sign of a spiritual attitude, can be a serious mistake and even a sin. Paul urged Timothy to learn this principle when he was still young, in his learning years. His warning, ‘take care of yourself’ (1 Tim 4:16), contains one of the keys in Christian work. Notice the order: first the person has to be right, and then comes the work (the teaching). If the person is not all right, the quality of the work will be affected. A healthy minister is likely to have a healthy and fruitful ministry. Q: Is this message for everybody or do you feel like Christian workers are in a special kind of danger? A: Every Christian leader suffers an extra cause of weariness that goes beyond the natural or human dimensions. Our work is not an ordinary work; it is God´s work and it is subject to the same opposition Jesus had to face. We make a mistake if we overlook the spiritual battle we are immersed in. There is a supernatural dimension in our fatigue, therefore we need to ‘be alert’ (1 Peter 5:8). This is why prayer is so important as a key antidote and a source of inner renewal. As E.M. Bounds put it, ‘When you do not pray, you are an easy prey’. Q: In your book, you talk about the ’empty pool syndrome’. Could you please explain it and share some thoughts around why you think it is so important for Christian workers to guard against it? A: We can compare our life to a pool, and our energy to water. Two streams of water need to flow at the same time. There is output, water flowing out. This is the emotional and spiritual energy that ‘goes out’ as we fulfil our calling. Any caring task will bring some expenditure of energy. Being compassionate and empathetic, as Jesus was, implies identification with our neighbour and, therefore, self-giving. You cannot heal or help mechanically, as if you were repairing a car. The essence of caring is love, and loving means self-giving. One of the healing acts of Jesus illustrates this reality well: ‘Someone touched me; I know that power has gone out from me’ (Luke 8:46). There are no shortcuts in the Christian ministry because we are mainly dealing with people. As Oswald Sanders said, ‘No real lasting good can be done without the outgoing of power and the expenditure of nervous energy’. In ministry there is no such thing as ‘zero wear’ or ‘total protection’ from people’s problems. Every healing or caring action carries an output of inner energy. God uses an illustration similar to the pool in Isaiah 58. He compares his people to a well-watered garden: ‘You will be like a well-watered garden, like a spring whose waters never fail’ (Isaiah 58:11). Notice the order: first you need to be well-watered (input); then you will naturally become a spring of permanent waters to others (output). What a great motto for the Christian worker! Caring for your own vineyard—guarding your physical, emotional, and spiritual wellbeing—is not a minor issue. According to the Bible, this is not only a right, but a duty; it is part of good stewardship to care for ourselves. To put it in other words, in the same way that we have a ministry, we also need a ‘monastery’, a place and time to rest, to be still and to refresh our whole person. Our public ministry will be greatly enhanced if we learn to spend time in our private ‘monastery’. Your own life, the wellbeing of your family, and the quality of your ministry are at stake. Here lies one of the secrets of a fruitful and blessed ministry. Q: What are some of the common misconceptions Christian leaders might have about the need to take time to care for themselves? First, many times we neglect the care of our ‘vineyard’ because we forget God’s original design for us: he made us human beings, not human doings. Our identity and value before God come primarily from who we are, not from what we do. This divine design includes a balance between working and resting, giving and receiving. Second, Billy Graham was once asked, ‘What would you change if you could start your life again?’ He replied: ’I would preach only once a day.’ The words of this respected man of God echo a profound and most important principle: a fruitful ministry is not the same as a full ministry, packed with activities and unceasing action. Q: For busy Christians, taking care of themselves might sound like another item on an already long to-do list. How do they combat this sensation? A: Taking care of ourselves is not a matter of doing something, but rather of stop doing! It is letting your body, mind, and soul be refreshed and renewed, nurtured, and enriched. This is achieved through different ways (I devote the two last chapters of the book to this vital issue), but the emphasis lies always in being and being alongside. In this sense, relationships are of paramount importance (family, friends, church); of course the relationship with God through our Lord Jesus (John 15) is the supreme source of renewal. Some busy Christians have difficulty understanding this because of a mistaken concept of leisure. They wrongly believe that God wants them to be doing something all the time (they are ‘human doings’!). It is important to remember that leisure and laziness are very different things. Thank God for leisure times! It may surprise you, but some Christian workers feel guilty when they rest. Q: You give a lot of guidance in your book about how we can take care of ourselves. What’s the one piece of advice you wish every Christian worker could hear? The problem is not working too much, but resting and renewing ourselves too little. In the same way that we have a ministry, we also need a ‘monastery’, a place and time to rest, to be still and to refresh our whole person. Consider rest and renewal a serious part of your ministry, as serious as any other one. Learn not only from Jesus´ doing but also from his stopping. Great zeal for the Lord does not mean great stress for you! Q: What is your prayer for Christian workers? Could you lead us in prayer so our readers can join you? Lord, I am aware that keeping watch over myself is necessary if I want to be a good overseer of the flock you have given me. I confess that sometimes I fail in guarding my own vineyard. Therefore, Lord, help me by your grace to have a fruitful ministry rather than a full one. Put in my heart the longing to ‘be still and know that you are God’. Grant me to become ‘like a well-watered garden, like a spring whose waters never fail!’. Make my life a vessel for the glory of Jesus and the building up of your church. Amen. Pablo Martinez is a medical doctor and psychiatrist based in Barcelona. He is also a Bible teacher and author. His books have been translated into 14 languages. For more information, visit www.christian-thought.org.